The best word to describe mini and microdrones is fun. 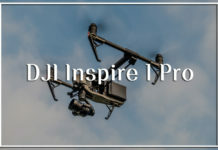 Most of you might think that these UAVs are best used as kid’s toys but they are perfect choices for capturing events from an aerial point of view e.g. games competitions, home parties, weddings etc. Are you looking forward to having fun with toy drones? Keep reading to learn the best models, their uses, and some of the most frequently asked questions on the subject. We cannot talk about modern technology without mentioning drones. 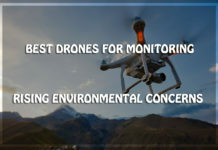 These unmanned aerial vehicles have taken off the new era and blown the minds of many tech-savvy individuals with their spectacular capabilities. 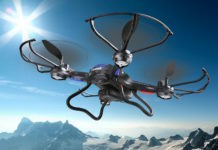 The application of micro and mini drones are increasingly popular. They are ideal for hobbyists who love nature. They are also used in military surveillance in placed deemed to be risky. Moreover, they are good at capturing a bird’s eye view on different objects on the ground from above. The good side of the nano drones is that they can reach the tightest locations, whether they are safe or not, and monitor those areas 24/7. Nano drones are of great help in science and research whereby they are used to examine certain processes e.g. archeological excavation, volcanic eruptions, and so on. Mini drones not only provide continuous surveillance but also add fun to life. With the dynamic features and varied sizes, these devices are awesome and full of surprises. 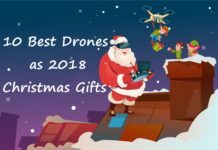 They are the best devices to introduce any beginner to the amazing world of drones. After mastering these small flying machines, you can move on to using professional drones. 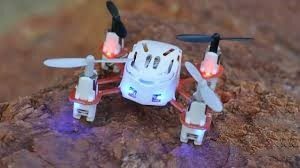 The agile tiny robots can fly just about anywhere and bring enjoyment to both kids and the adults. While they are not as enviable as the bigger aircrafts, we cannot overlook some of their greatest features as will be discuss herein. You now understand what mini/microdrones are and their uses. It’s time to learn the best ones on the market. Here, we want to make your shopping decision incredibly simple. 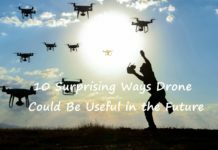 Given the sheer number of mini and nano drones on the market, it is possible to get overwhelmed. 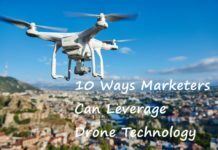 Below, we have rounded up ten drones which are a perfect fit for both drone beginners and pros. As you can see, the average flight time of mini and nano drones is 5 to 8 minutes. 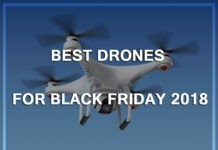 We recommend you to get extra batteries and propellers. Some micro models come with interchangeable batteries which need to be switched between flights. Since drone crashed are inevitable, you need extra propellers too. Most models come with spare parts while others provide crash packs with all you need after a crash. These are some of the cutest and interesting toys for your young ones. You could also be new to this hobby. Don’t worry because these tiny flying robots will help you to master hovering, landing, controlling the pitch, yaw, and roll in the most inexpensive way. After mastering the techniques, feel free to upgrade to medium-sized drones. We will keep updating you on prices and newer models released on Amazon. Don’t forget to check out the different designs and colors to help you decide which mini or nano drone suits your personal taste. This is a ready-to-fly micro drone with the ability to capture videos and aerial images. It has spectacular orange and white color patterns and a one-of-a-kind transmitter. Get Cheerson CX-10 RC microdrone at $22.98 on Amazon. Given the strong materials used in the construction, anyone can fly the Cheerson CX-10C microdrone. 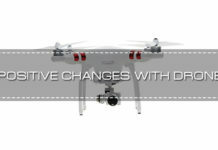 The 6-axis gyro system offers stable flights and allows you to throw the quadcopter in the air to start flying. Given the 3 control modes, the nano-drone is suitable for beginners, intermediate pilots, and the experts. 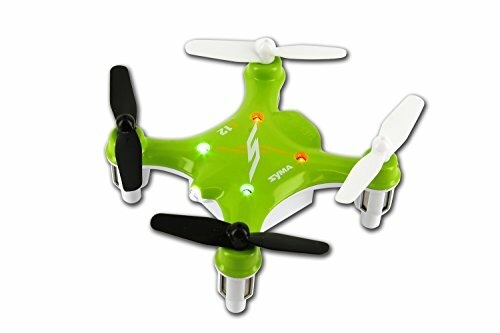 Syma X12 is another awesome micro drone available in green color with a wonderful performance. Here is a brief overview of what it brings to the table. Do you need a nano drone with impeccable stability and easy control for both low and high speeds? 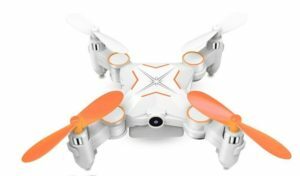 The Syma X 12 micro drone should be your perfect fit. 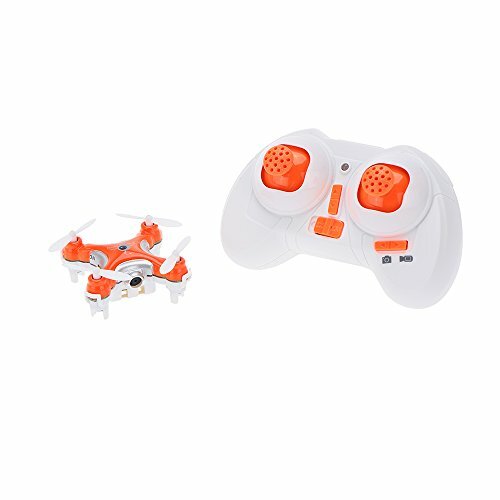 You will have the greatest fun with this micro drone initiating flips using a button on the controller’s right side. 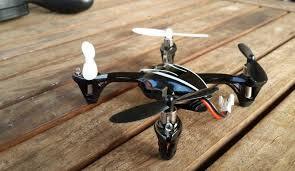 The average rating of the nano-drone is 3.5/5. It is one of the newest models by Syma. Its small design makes it easier to fit into a carrying case for portability and convenience. 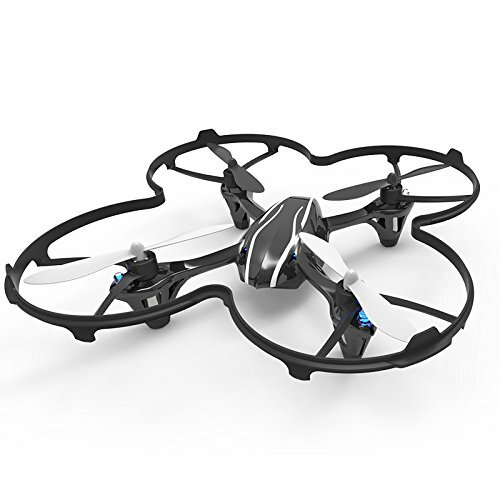 Check out the exquisite features and affordable price of the Rabing Mini Drone. This drone comes at a price that suits almost any budget. It is worth $39.99. What we love the most is the foldable nature of this mini-drone. You can travel with it whenever you go and take dazzling footages with the HD camera. 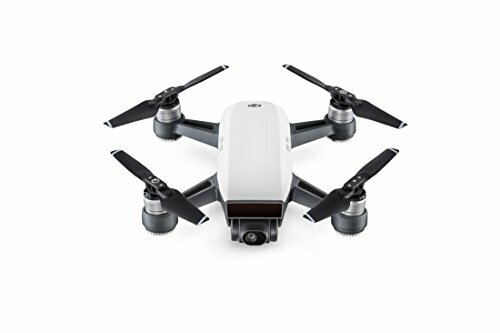 The DJI Spark mini-drone presents a wide spectrum of outstanding features that give the simplest yet the most exciting experience. DJI Spark is fairly priced at $399, keeping in mind the fantastic features which are not found in most mini-drones. 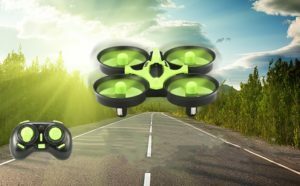 With all the top-notch technologies in place, this mini-drone will convince you to get it instantly. We recommend this mini quadcopter to anyone who is transitioning from a beginner to intermediate level. The improved flight stability is just perfect for learners. 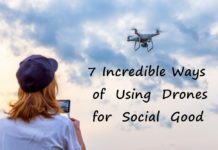 It is not only great for taking selfies but also drone racing. 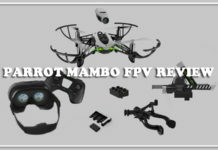 The wonderful features like FVP goggles compatibility make DJI Spark a fantastic racing quadcopter. 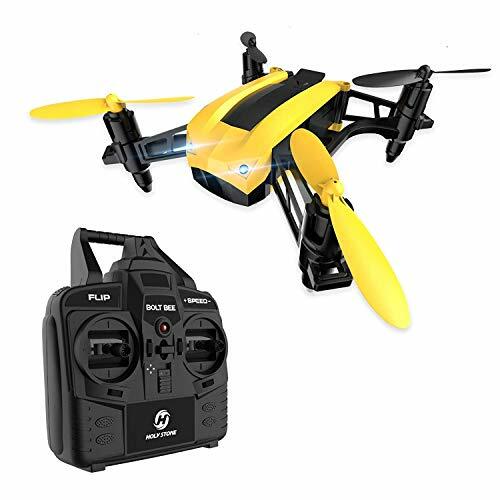 Hubsan is best known for producing some of the best mini quadcopters with X4 H107 being highly recommended for beginners. 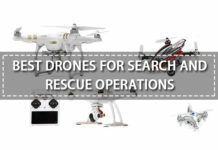 It provides great value for money and its spare parts are available in most drone sources. The Hubsan 4X costs $25 only. The controller doesn’t come with batteries. You have to buy them. 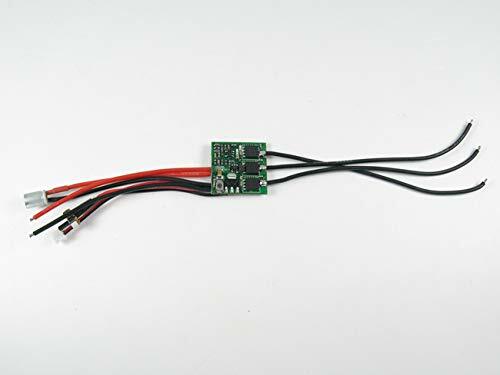 You cannot go wrong with Hubsan X4 H107C as a beginner. But you will need to buy an extra crash pack in case it crashes. 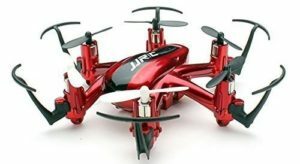 The original JJRC H20 is an awesome hexacopter with cool features and a better price. At a price of $20.51, the JJRC H20 nano hexacopter is worth going for. 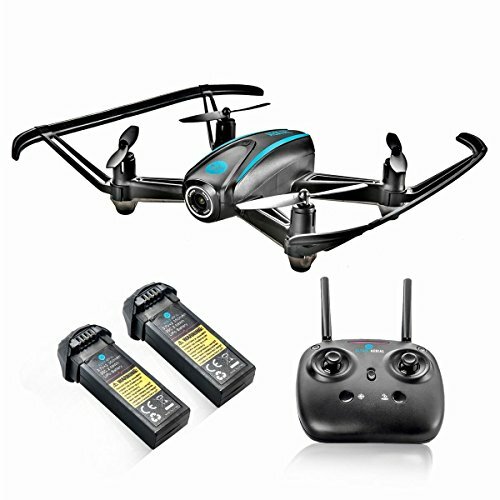 The Eachine E010 Mini drone is a wonderful beginner drone, designed for both indoor and outdoor activities. 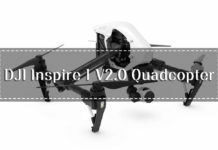 The propeller ducts are some of the features that make this drone extremely durable as you can bounce off the walls and continue with the flight. 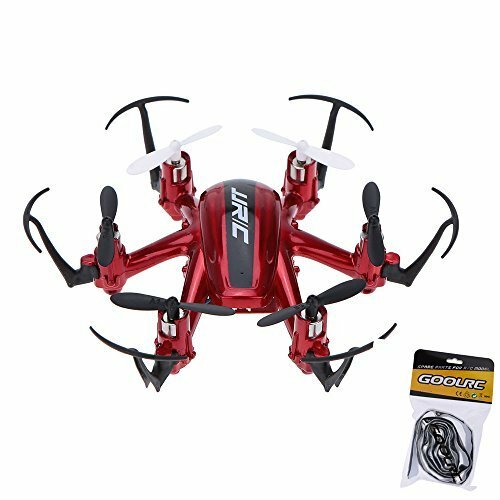 Eachine E010 UFO goes for $22.99. It would make a wonderful gift for your loved one. 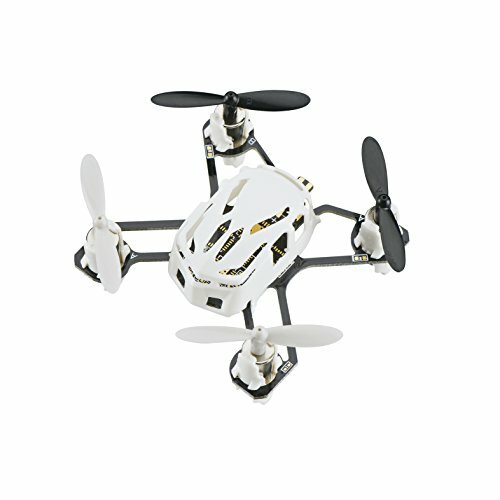 We recommend this mini-drone for outdoor activities. Just make sure you have extra batteries for the flight plus 3 AA for the transmitter. 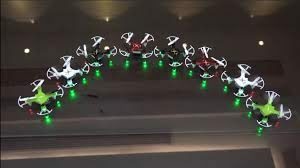 A nano quadcopter with multiple color options provides greater flexibility in terms of personal preferences. That’s what you get from the lightweight Estes Proto X. 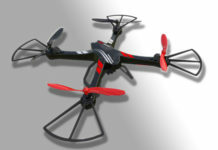 $29.99 is what it takes to own the Estes Proto X Quadcopter. 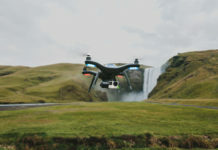 This drone comes with a 6-axis gyro system which pairs well with Auto Upright System and automatically adjusts itself to the right flight direction after launching the drone. The drone is just perfect for indoor flights due to its lightweight nature. This is a great mini-drone for racing. It has impressive wind resistance and flies at 50km/h on speed headless mode. Let’s take a look at its main features. It comes at $45.99, with bonus battery included. The Holystone HS150 is an affordable beginner drone particularly for racing due to its high-speed action. It offers superior durability and you can fly it right out of the box. Another beginner-friendly camera drone that’s highly durable is the Altair AA108 with excellent performance. Flying indoors with the drone is quite easy. 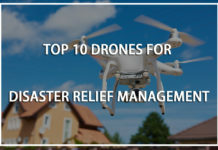 What’s more, the drone provides a 120⁰ wide-angle HD camera for capturing dazzling images and videos which you can check right through your phone. This mini-drone is good for aerial photography and recreation purposes. 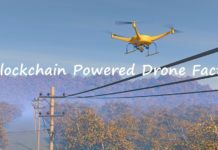 In other words, it is designed for drone enthusiasts. The impressive features of the Altair 108 come in a small package that costs $112.80. Whether you purchase the Altair 108 for your child or for learning, it gives the most stable and easy flights ever. It is still a great camera drone for the skilled pilots. What’s the difference between micro/nano and mini drones? Size is a major category that is used to describe drones. It might be a little confusing if you are a beginner. To shed some light on you, microdrones are also known as nano drones. They are the tiniest drones you will ever see. They are getting smaller and smaller courtesy of technological advancement. For instance, a certain manufacturer of a 1.7 sq. inch drone is looking for ways to make it even smaller! A good example is the Cheerson CX-10 mentioned above. Nano drones are perfect for indoor adventures. The other thing is that they come at incredibly affordable prices. 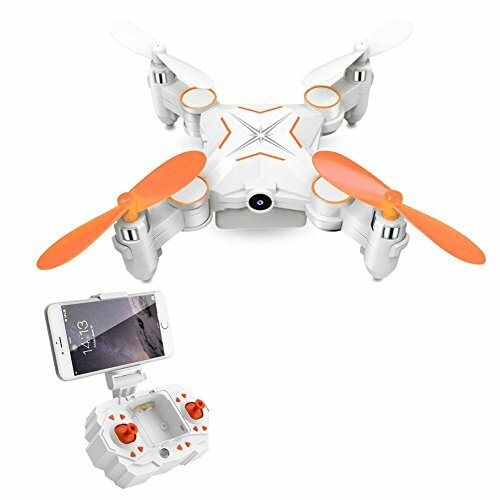 There is this drone you can get at $15 only! Mini drones are a bit larger than micro drones. 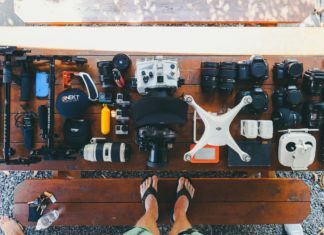 They also come with more features, such as the DJI Spark, and at relatively high prices. Most of them have cameras (with FPV at times), longer battery lives, and stunt modes. 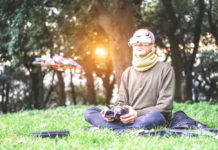 Like the nano drones, they are more suited for learning but also provide more flexibility in terms of flying skills since they are faster and bigger. Even though the micro and mini drones have almost the same features, their main difference is size. They are the easiest to fly. They are quite popular in the tourism industry due to their portability. Is Cheerson CX-10 the same as Skeye? Cheerson has a headless structure that facilitates easier maneuver. The pilot needs not to set the flight direction when starting off. It is one of the most affordable drones and ideal for novices. Skeye microdrone, on the other side, is the smallest quadcopter in the entire world. It weighs 11.9g only, making it easy to control. It can perform some aerobatic flips in the middle of a flight thanks to its ergonomic controller. The newest Skeye model comes with altitude mode that allows steady hovering at certain altitudes. 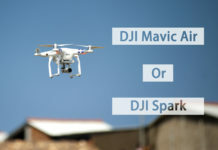 Micro vs. mini-drone- which is better? Check out the reviews of your best choices before you buy one. We have already given you the reviews and prices for you to compare. Just make sure you are not buying one for suspicious activities like spying on someone. Do their batteries last longer? The battery depends on the model. Most nano drones have a 3.7v battery with a flight time of between 5 and 8 minutes. Comparatively, their battery lifespan is shorter than that of average-sized drones. Do micro drones have cameras? The newest models come with cameras even though they may not have the most professional lenses. a tiny drone cannot accommodate a bulky lens while it flies. Can mini drones accommodate GoPro cameras? Yes. 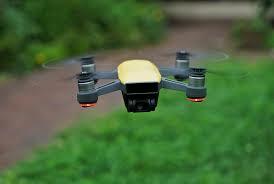 The GoPro camera may be mounted on certain mini-drones to improve their intelligence and quality of images. GoPro cameras have flexible designs which augur well with mini-drones. 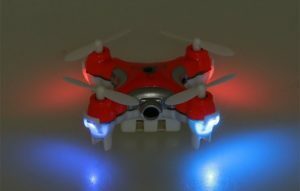 Is it possible to fly a mini-drone at night? A mini-drone can be operated at night but certain conditions have to be met to avoid disrupting the footage. The front lights should be switched off and obstructions e.g. power lines evaded. 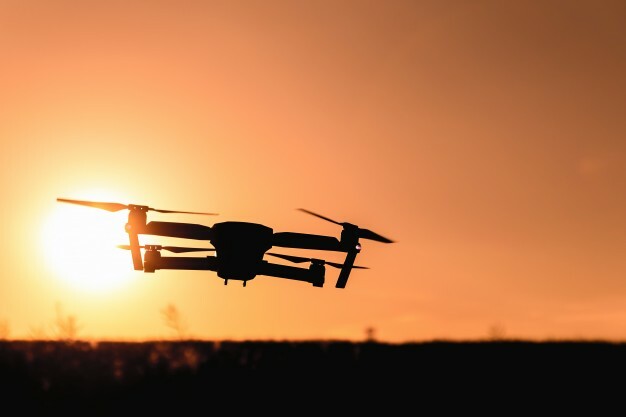 Which mini-drone provides the longest flight time? The speed of flight is determined by the payload, altitude, wind, and prevailing temperatures. What’s the difficulty level of fixing a mini-drone? This depends on your level of experience. If you are a beginner, we cannot encourage you to fix a mini-drone on your own. Seek professional help if you don’t want to end up destroying it instead of fixing. The tinier the drone is, the harder it is to fix. 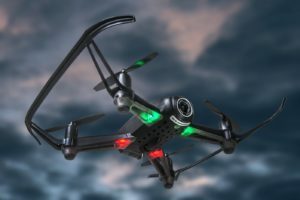 Hopefully, our list of the best mini/micro drone has made your work easier as you search for a quadcopter. 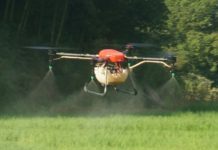 Your local suppliers might be running out of the drones. We, therefore, advise you to check online marketplaces like eBay and Amazon. You will wait a couple of days for shipping. Good luck finding the best deals. 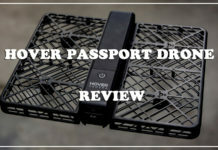 Hi, great mini drones recommendations. I have been interested in mini drones for a while and had no idea where to start.